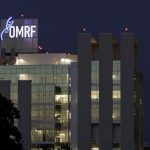 OMRF named Leigh Ann Albers, Tricia Everest, Ronnie Irani and Dr. Barry Pollard to its board of directors. 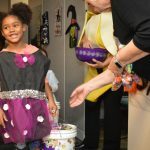 For the 12th consecutive year, OMRF hosted a Halloween event for more than 70 trick-or-treaters from Positive Tomorrows. 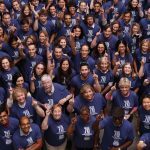 OMRF takes No. 1 spot in The Oklahoman’s annual Top Workplaces list. 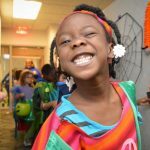 Tuesday marked the 11th consecutive year the nonprofits have teamed up to bring smiles to the children’s faces. The featured speaker at both events will be Pamela Jones Davidson, J.D. Nineteen budding young scientists visited OMRF for a one-of-a-kind experience.